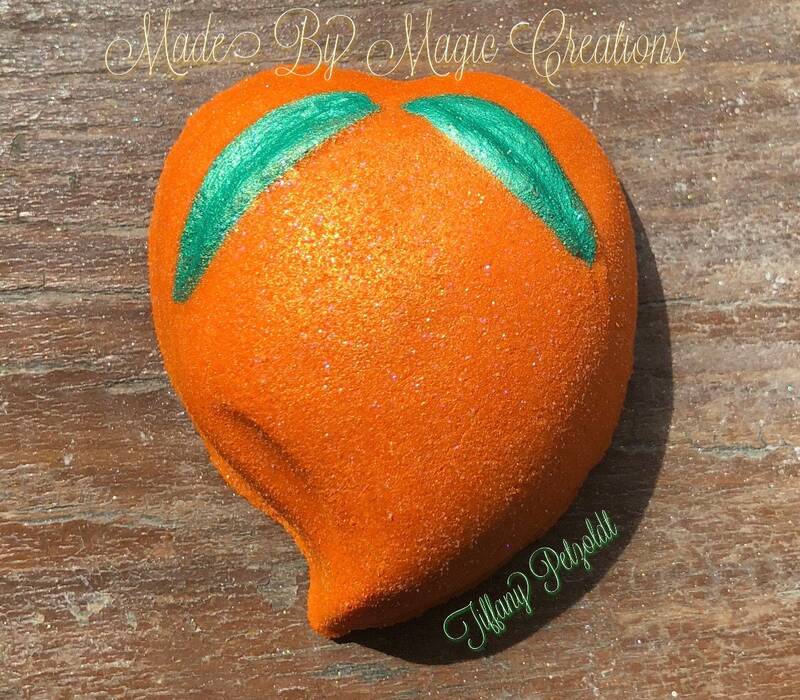 ASIAN PEACH is a bath bomb & baking mold I was attracted to because it looks so natural & sweet with the two little leaves & almost heart shape. I couldn't figure out for awhile what it is intended to be thinking it looked like it could be a fruit, a flower or a leaf. 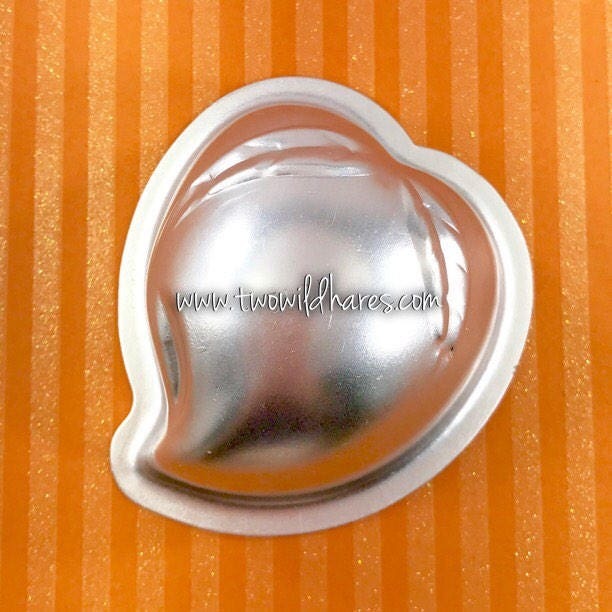 After some research, I discovered this is the shape of Asian peaches. You learn something new all the time! 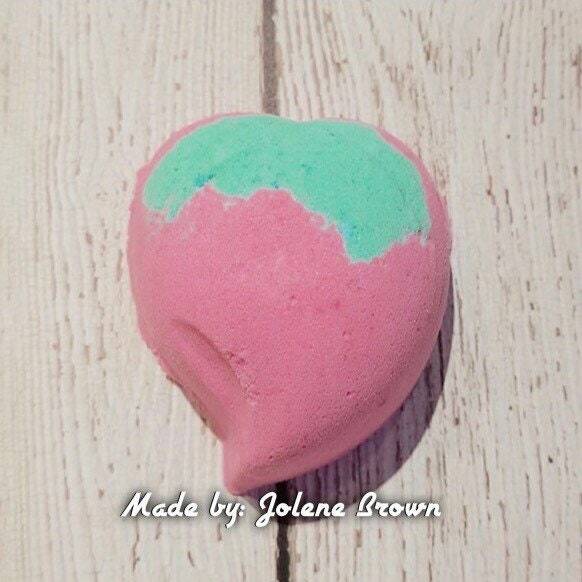 I still think this shape can be used for a flower (like bleeding hearts) or a green leaf too. It's just a sweet shape & the perfect bomb size. The mold is 2 3/4" across and 1 3/8" deep. 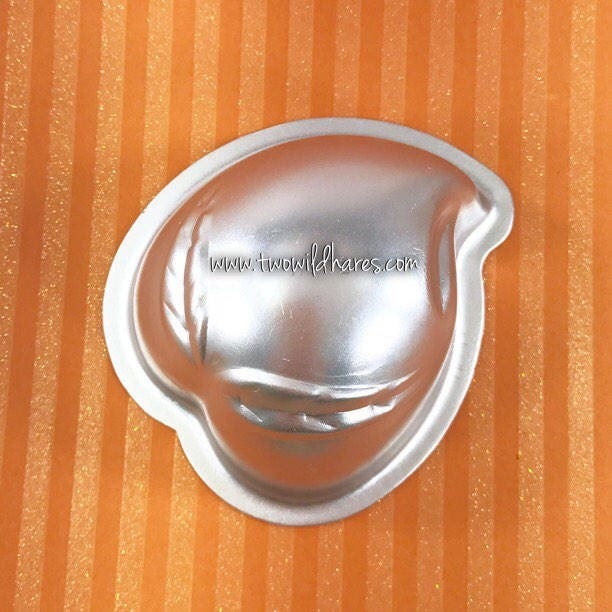 Our molds are made with 0.8mm food grade aluminum so they are suitable for both baking or bath bombs. They are designed to unmold easily by just turning upside down. If one needs a whack to release suction, use a rubber spatula so you don't dent your mold. 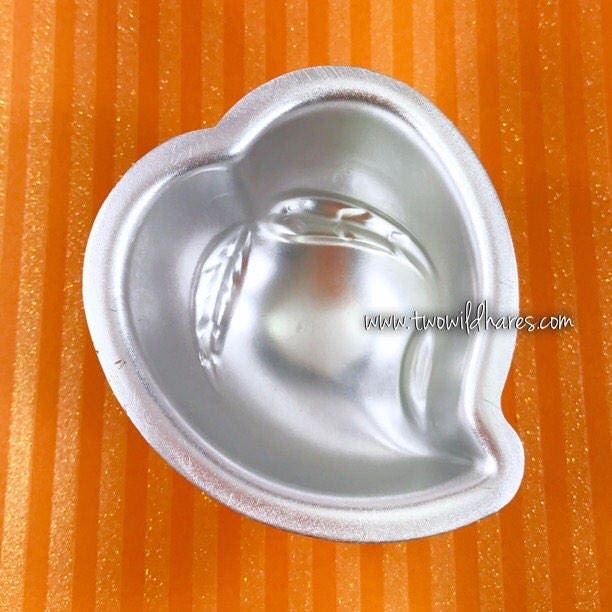 Thank you to two customers for sharing their examples of the use of this mold with us. We love to see your creations! 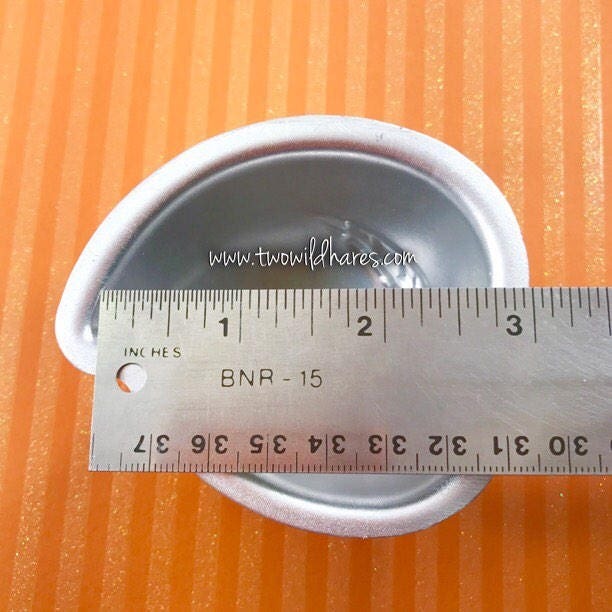 *Products pictured are examples only. 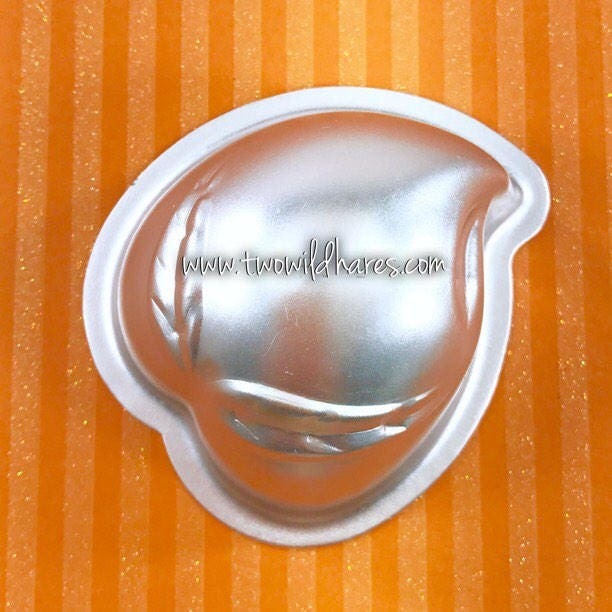 No products come with this mold. 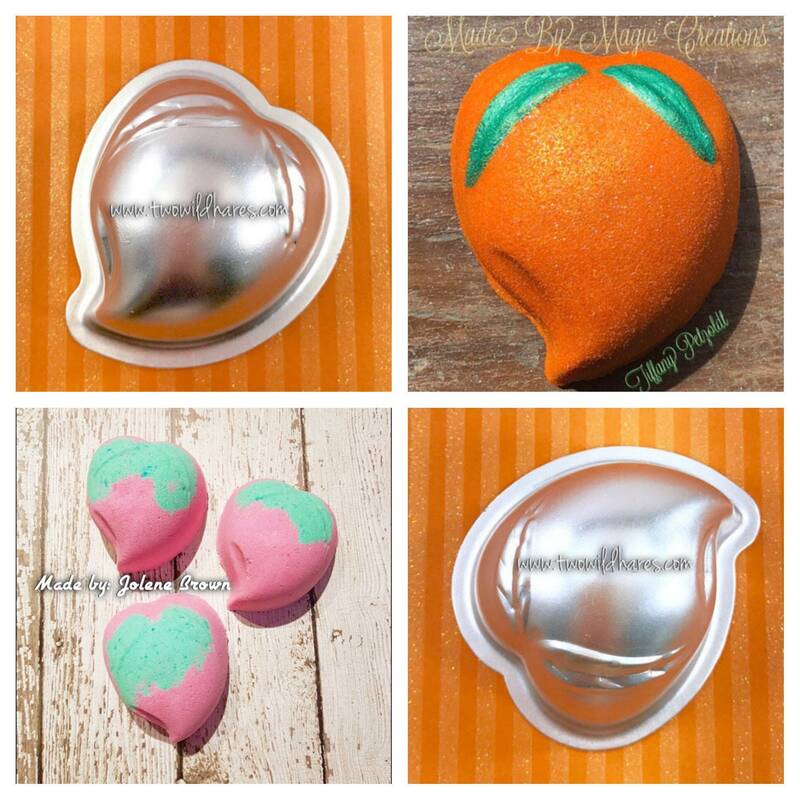 Check out our listings for other fun bath bomb shapes! Cute mold, but it is smaller then what I wanted. Recieved it quickly and works beautifully. Just wish it was a little bigger. No problem with it what so ever though. 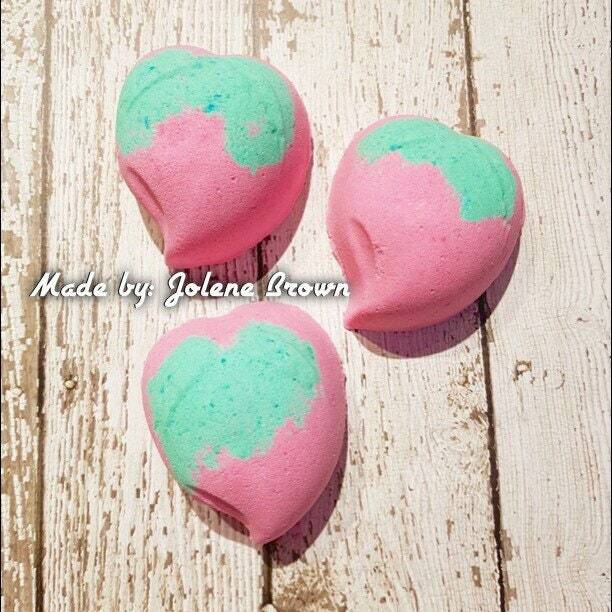 Really cute and perfect size mould for a smaller bath bomb!